Connect to softphone/PC and desk phone for device flexibility. 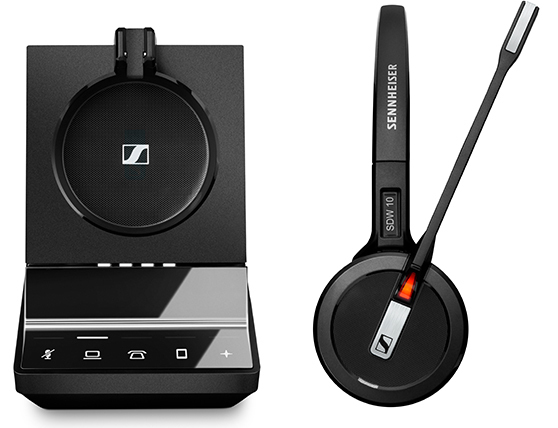 Pioneering voice detection technology and two-microphone system give exceptional sound. Enhanced security features keep conversations confidential. 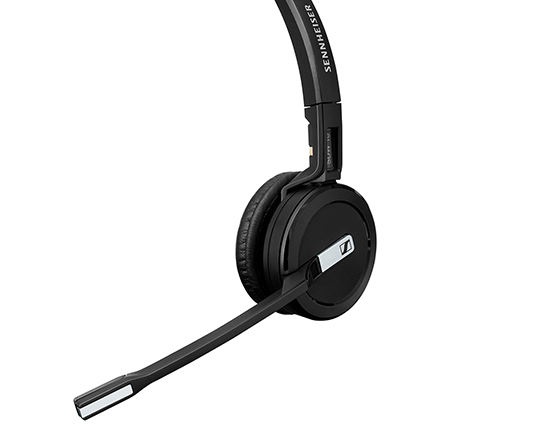 SDW 5015 is a wireless DECT headset system for modern office professionals, providing future device flexibility, next generation communication quality and advanced security to modern work environments. SDW 5015 meets the challenges of evolving modern workplaces by providing a communication tool that lives up to users’ expectations for multi-device usability, security and seamless customer interaction. For the modern office worker who uses softphone/PC and desk phone. Connect to softphone/PC and desk phone for device flexibility. 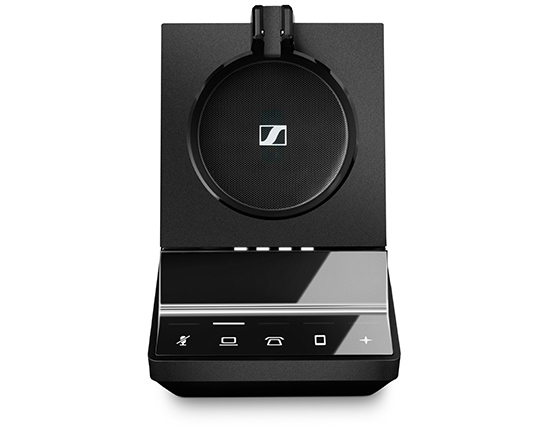 Pioneering voice detection technology and two-microphone system give exceptional sound. Enhanced security features keep conversations confidential. 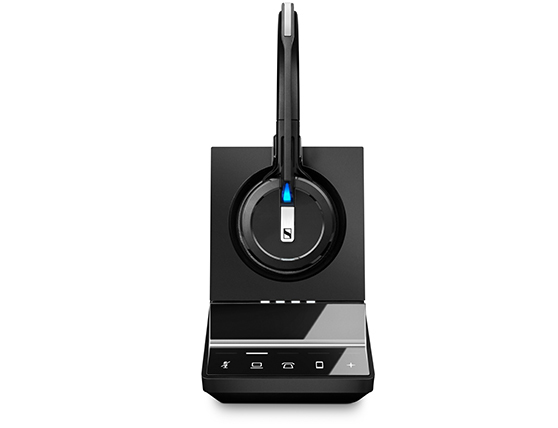 Dual connectivity gives flexible choice between softphone/PC and desk phone. Perfect customized fit with the FlexFit system, offering 3 wearing style solutions. 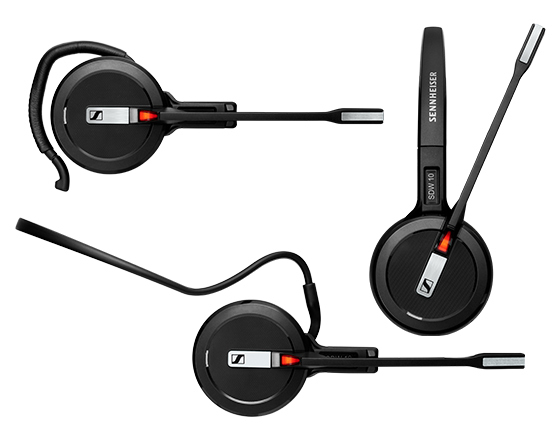 Choose between headband, ear hook or neckband.